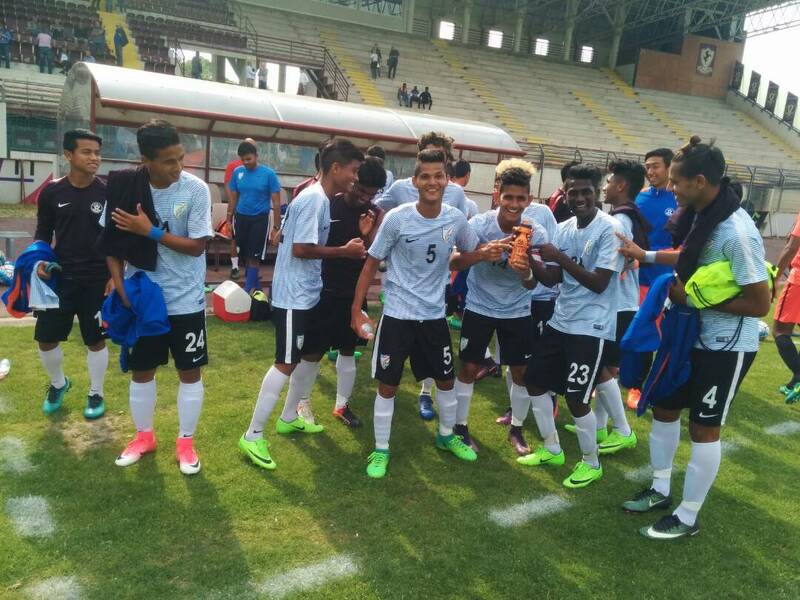 In a historic moment for Indian Football, for the first time, the Indian U-17 World Cup Squad defeated the U-17 Youth Team of Italy who have won the FIFA World Cup four times 2-0, in Arizo, Italy today (May 19, 2017). The win epitomizes the grit and determination of the Indian Colts who have been grinding together since February 2013 in Goa. All India Football Federation, the governing body of Indian Football has been providing rigorous exposure trips to the U17 World Cup Squad for the last couple of years, all in an effort to field a competitive Team for the FIFA U-17 World Cup, which is slated to kick-off later this year. After India led 1-0 at half-time, the Colts searched to extend the their lead and safeguard the result. In the 59th minute, Aniket missed a one versus one chance against the Italian goalkeeper after he rounded the opposition custodian up but failed to convert.